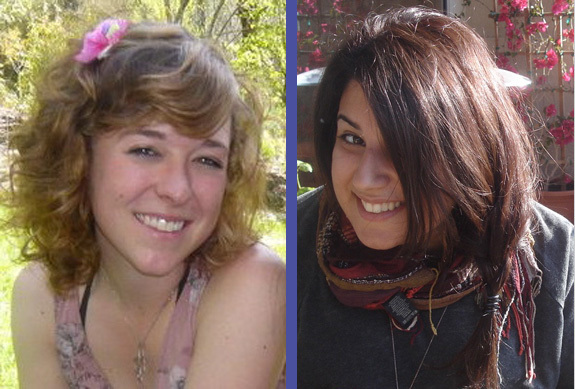 During their internship at the Human Rights Centre of the University of Padua, Talin Galoosian (University of California San Diego) and Kathleen Kruckenberg (University of California Berkeley) worked on a research project on the position of the United States of America towards the major United Nation International Legal Instruments on human rights. On October 24th 1945, the United Nations officially came into existence with the United States as a major signatory to the charter. Two years later, the United States Mission was created by the U.N. Participation Act to help the President and the Department of State in conducting U.S. policy at the U.N.
As stated in the Preamble of the Charter, the U.N. seeks to promote peace and security in this world in addition to reaffirming faith in the fundamentals of human rights; and as a major world power, the United States is partially responsible for maintaining the Charter. The political and economic success seen by the United States has been magnificent when looked at in the span of history; however, in our world today, the United States has succumbed to the powers of globalization and technological innovation and no longer is the super power it once used to be. New innovations and economic growth seen by countries such as China show that the world is shifting into a new direction and that the United States can no longer stand as the sole super power. It is important to note that although technology and globalization are determining the future of the world we live in, there is one fundamental problem that technology cannot solve: human rights. The rights of all people, man and woman, have always been seen as a bit of a controversy and to this day remain to be jeopardized by the scourge of war and ideological mentality of specific country-states. The role of the United States is crucial in this fight against crimes towards human rights because although the United States might not be the outstanding economic power it used to be, it functions as a democracy and the people have their right to all freedoms (United States Constitution). In this document, we aim to show the treaties and conventions set forth by the U.N. to ensure a more peaceful outlook on maintaining human rights and the United States stance on said conventions. We can then hopefully analyse the specific reasons as to why the United States (a country based on freedom and the proliferation of human rights) has not signed or ratified many important conventions.